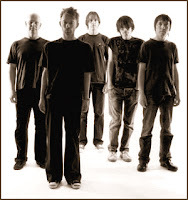 The greatest band in the world, Radiohead, has released their new album In Rainbows via the internet a few minutes ago. Of course, I downloaded my copy right away. Now I’ll surely be up to the wee hours of the morning listening with glee (it’s already 1:15AM).